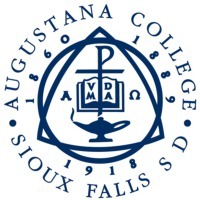 Review: Augustana College is a private, liberal arts college affiliated with the Evangelical Lutheran Church in America located in Sioux Falls, South Dakota, United States. The 100-acre (40 ha) campus makes the school the largest private university in South Dakota. 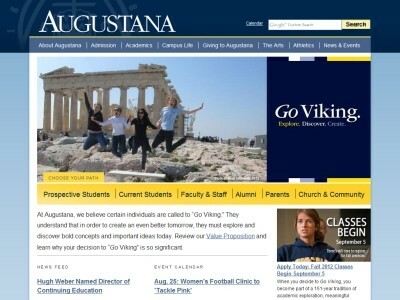 Students, alumni, friends, employees, and those who know the college casually refer to it as "Augie." Originally named "The Lutheran Normal School" and designated for the purpose of educating teachers, the college in 1918 received its current name after merging with Augustana College in Canton. The consolidation occurred as a result of synod officials finding it fiscally imprudent to have the two institutions so close together, the schools only some 20 miles (32 km) apart. The college nevertheless identifies its founding as 1860, the same as its sister-school(which shares the same name) in Rock Island, Illinois. Augustana derives its name from the Confessio Augustana, the Latin name for the Augsburg Confession of 1530. Location & access map for "Augustana College (SD)"